To investigate the imaginative leaps of so agile and incisive a mind as Machiavelli's one needs as much commentary about history, political theory, sources, and language as possible. 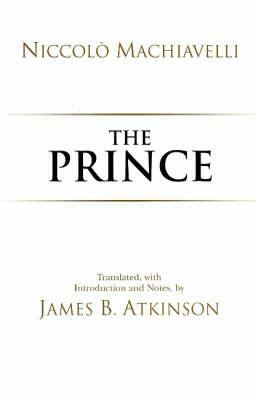 I have gradually come to realize that readers who remain unaware of these topics frequently finish reading The Prince, put down their copies, and wonder what the shouting was all about. Thus commented eminent Machiavelli scholar James B. Atkinson thirty years ago in justifying what remains today the most informative English-language edition of Machiavelli's masterpiece available. James B. Atkinson is an independent scholar.